Virtu Finance p.l.c. was registered on 6 July 2017, with the main objective of acting as the financing arm of the Virtu Holdings Group. Virtu Maritime Limited was registered on 30 June 2017. 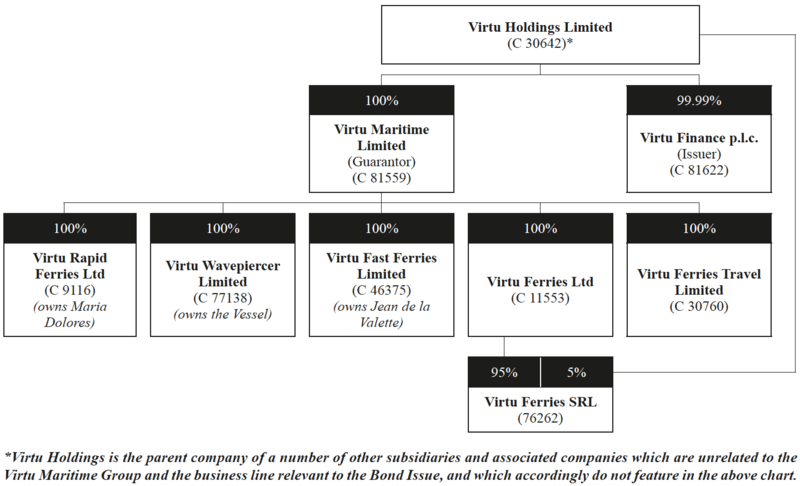 It is the parent company of the Virtu Maritime Group, and acts as guarantor for the Virtu Finance plc 2017 bond issue. Both companies are direct subsidiaries of Virtu Holdings Limited and do not conduct any trading activities themselves.